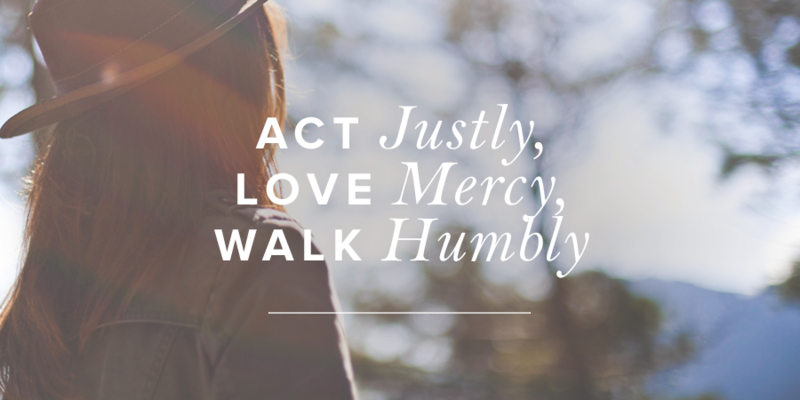 Act Justly, Love Mercy, Walk Humbly | This Thing Called Life . . .
Posted on March 1, 2018 by Anna Popescu •	This entry was posted in God, God's mercy, God's power, humility, justice, mercy, Revive Our Hearts, True Woman Blog and tagged faith, God, grace, life, mercy, ReviveOurHearts.com, True Woman Blog, trust. Bookmark the permalink.